-4 Fahrenheit meaning -20 Celsius meaning, man, it’s cold today, NYC! Author Julian VolojPosted on February 13, 2015 Categories BlogTags Claudia Ahlering, Ghetto Brother, Julian VolojLeave a comment on Cold! “Ghetto Brother” will be part of the upcoming “Latinos in Comics” exhibition at Edgar Allan Poe Park in the Bronx. Panel Discussion: 2pm to 3pm. 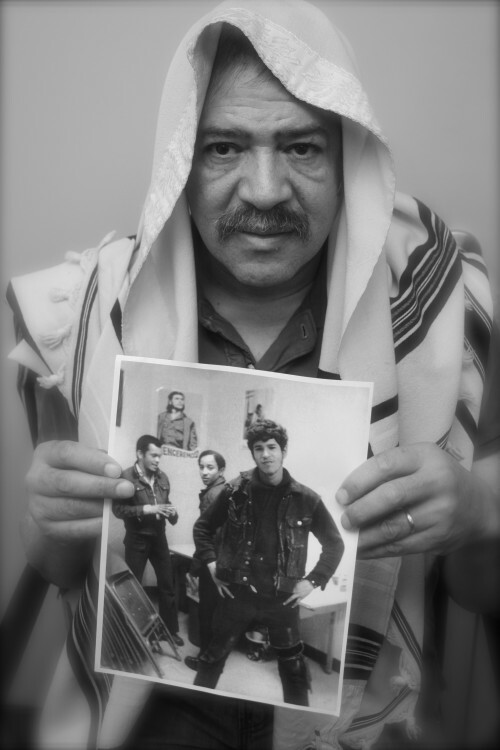 Benjamin Melendez, founder of the legendary Ghetto Brothers, initiated the 1971 gang truce that led to the creation of hip hop in the South Bronx. In a conversation with author Julian Voloj, Melendez will discuss growing up in the South Bronx, the events that led to the gang truce, and how it feels to have his life turned into a graphic novel. Leon and Simon are getting ready for the Latinos in Comics exhibition at the Poe Park visitors center. In 2010, I photographed Benjamin Melendez for the Swiss magazine “tachles”. We met in his old neighborhood, the former Ghetto Brother turf, and he told me his story. It all started with these photographs. 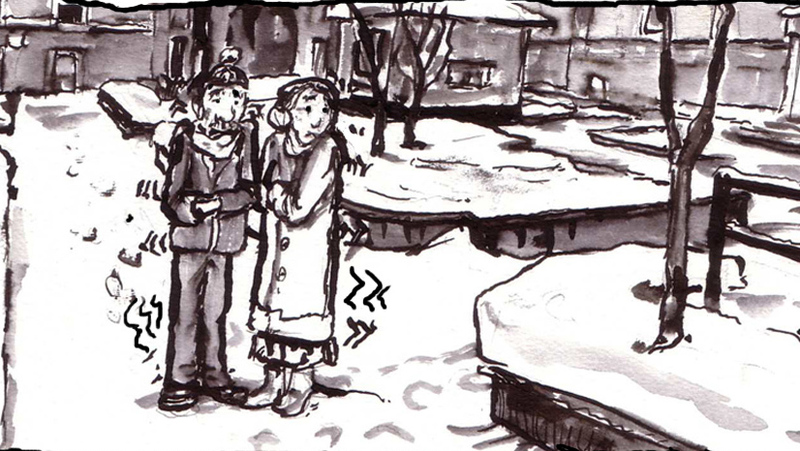 Five years later, his story is now a graphic novel and the photographs I took back then became illustrations. 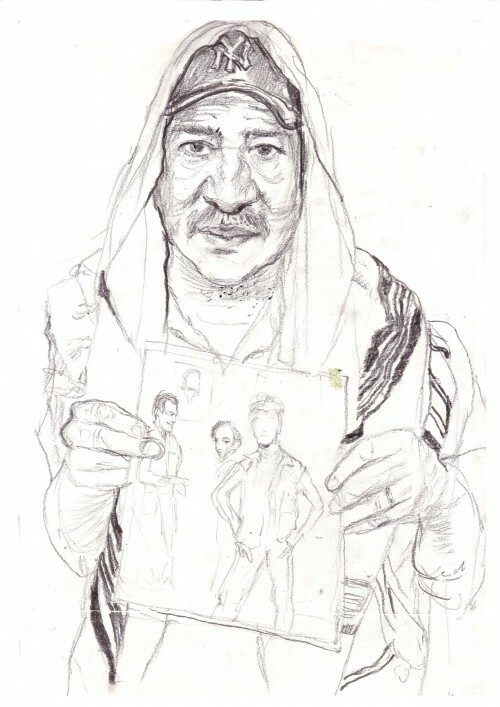 Here an example of the way Claudia Ahlering turned my 2010 portrait of Benjy into a draft for the cover. The graphic novel “Ghetto Brother” tells the story of the Hoe Avenue Peace Meeting and its central figure Benjamin Melendez aka Yellow Benjy. In 1993, filmmaker Henry Chalfant and Rita Fecher, a teacher working in the South Bronx, put together the documentary “Flyin’ Cut Sleeves” which can be viewed here. Many of the illustrations used for the book stem from the footage filmed by Fecher in the 1970s and 1980s. GHETTO BROTHER, the true story of how a NYC gang leader turned into a peacemaker in the 60s, leads NBM’s offerings in Diamond Previews magazine for February. 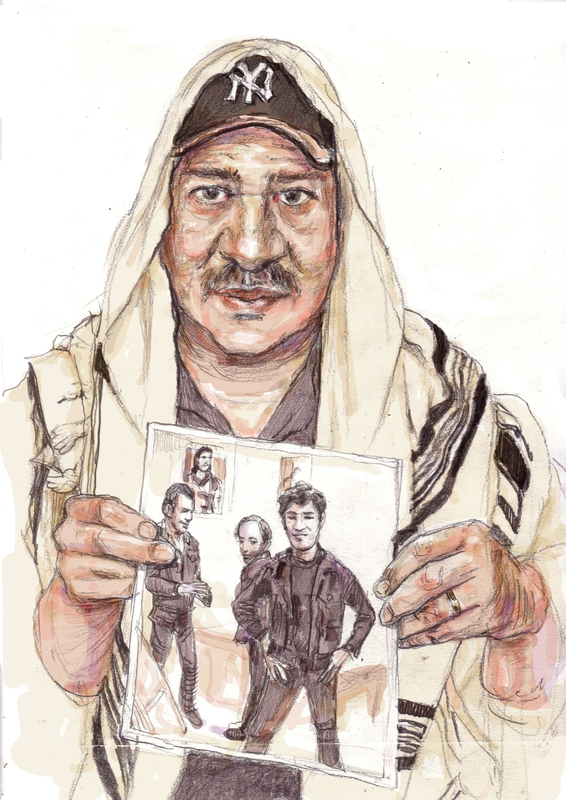 This April, Julian Voloj and Claudia Ahlering bring you an illustrated biography of Benjy Melendez in GHETTO BROTHER: Warrior to Peacemaker”. 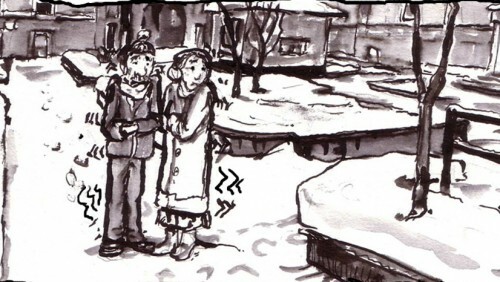 Voloj made the blog last year when he was featured on NPR for his graphic novel. Ghetto Brothers talks about the historic Ghetto Brothers gang who roamed New York in the late 60s and ushered in an era of peace with a gang treaty, which saw the birth of Hip Hop. Jeff Chang, the author of “Can’t Stop Won’t Stop: A History of the Hip Hop Generation”, provides an introduction. To see NBM’s April offerings and place a preorder, please head to your local comic book store and ask to see the Diamond’s February Previews! I’m proud to say Dior US is enthusiastically on board for our beautiful GN Girl in Dior coming everywhere in March. 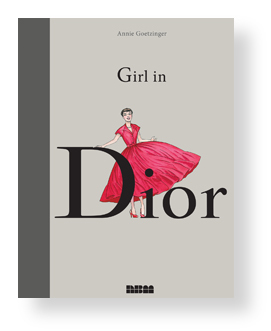 They are already busy helping us get the word out to their connections in the fashion press on this stunning book which I anticipate to be one the highlights of our coming months. Besides that, Kinokuniya, the very cool international bookstore chain with a slant on art books, will be hosting the launch party for it in March in New York, with an exhibit of the book’s original art. I have a feeling this one is gonna blow the roof off! After the sellout of Beauty and with other strong books coming (see in particular Ghetto Brother), we’re all just kinda feelin’ warm and fuzzy right now. 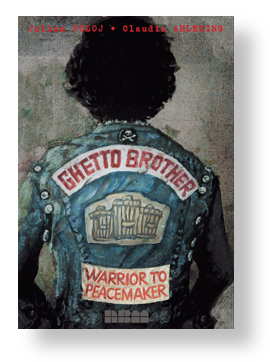 GHETTO BROTHER: Warrior to Peacemaker, coming from NBM in April, was featured on NPR- National Public Radio. On November 7th, NPR’s Backstory radio show had a feature on reconciliation and its limits throughout history. They touched upon the historic peace treaty on Hoe Street, orchestrated by Benjy Melendez, which united the gangs. 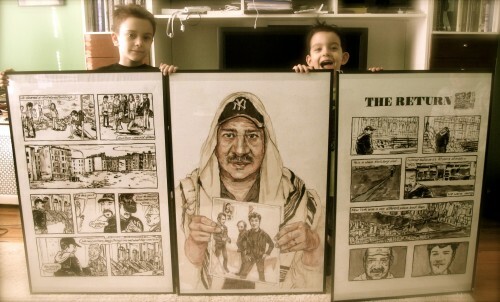 On the radio program, Melendez recalled his experiences and Julian Voloj, creator of Ghetto Brother, the graphic novel detailing the life and times of Melendez, credited the peace treaty, and the resulting safer New York streets, to leading the way for the hip hop movement. The segment on Benjy Melendez and his peacekeeping Ghetto Brothers gang, filled with a lot of facts and first-hand accounts, starts at the 35 minute mark. Listen to the podcast version here. Ghetto Brother: Warrior to Peacemaker was created by Julian Voloj and Claudia Ahlering. The graphic novel comes out in April but has been on reviewer’s radars for the past two years. Ahlering’s art for the book was on display at the Columbia Barnard Kraft Center’s Jewish Art Salon, in New York City, last year. For previews and more visit our Ghetto Brothers webpage. To learn more about Melendez, check out this NY Daily News article.